Both large and small varieties of the Xicalcoatl, the Aztec “Chocolate Cup Snake”, exist, and may be found in the waterways of Mexico. They are black in color with variegated bellies. 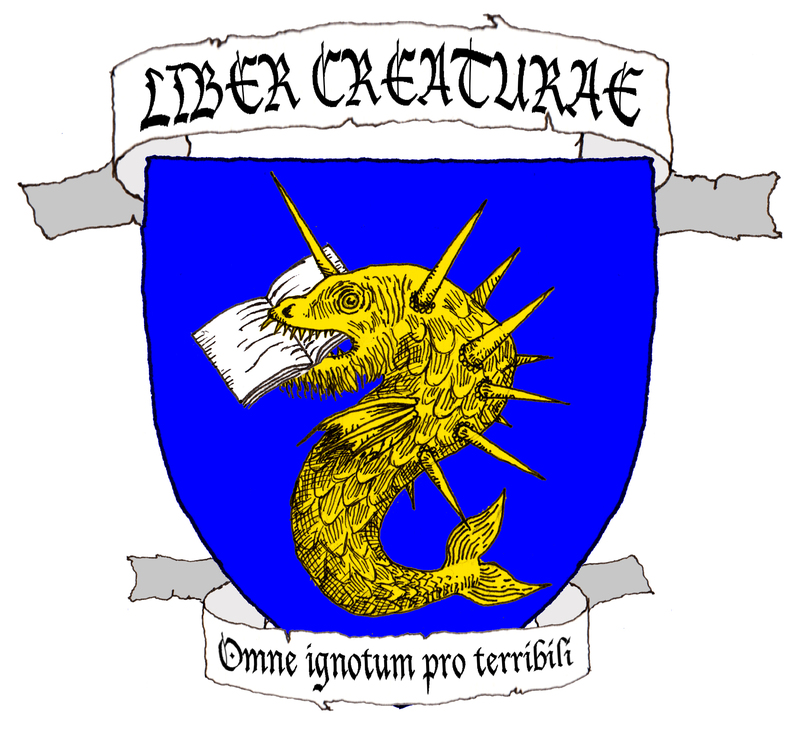 When they reach maturity, xicalcoatls develop an excrescence on their backs. This natural growth looks like a jicara (a gourd chocolate cup) down to the last detail, with colorful designs and patterns on its smooth surface. Xicalcoatls lure humans to their doom by submerging themselves in water and allowing the painted jicara to show above the surface. A passer-by, seeing the chocolate cup seemingly floating on the water, will try to seize it, but their attentions only cause the cup to drift further and further away. When the victim reaches a sufficient depth, the xicalcoatl causes the water to churn and drown the unfortunate chocolate-seeker. A watered-down version of this tale persists in Mexico in the form of the evil fairy Malinche, who leaves painted chocolate cups in the water to tempt children. 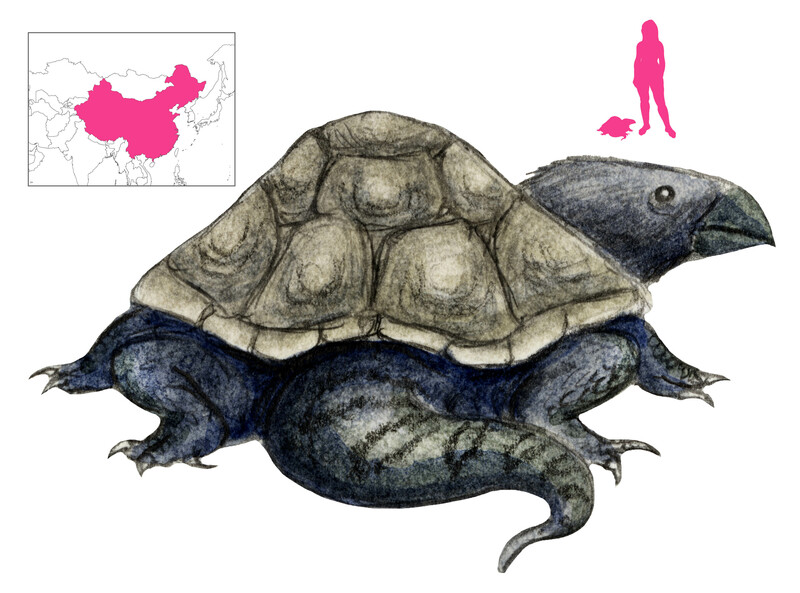 Xuangui, or Twisting-Turtles, are found in the Strange River, east of the Niu-Trees Mountain. They are black turtles with a bird’s head and a viper’s tail, and they make sounds like that of splitting wood. Wearing a piece of xuangui from the belt protects from deafness and calluses. Mathieu compares it to the Japanese water turtle Clemmys japonica. It is unclear what, exactly, is strange about the river. Among the wildlife to be found on Cauldron Mountain, Mount Min and Pray-and-Pass Mountain is the Xi. It is like a black water buffalo with a pig’s head, a large belly, and three-toed elephant’s feet on short legs. It has three horns, found on its nose, forehead, and crown. The nose horn does not fall off and helps it eat. Xi feed primarily on brambles, and therefore often drool blood. It may be the same animal as the Xiqu, which is a man-eating blue-black ox that makes sounds like a baby. The Si is similar, but blue or green with a single horn weighing 1,333 pounds. Its thick skin could be used as armor. Guo Pu mocked the Xi for its big nose, and the Si for its tough hide which ironically made it more desirable and vulnerable to human exploitation. 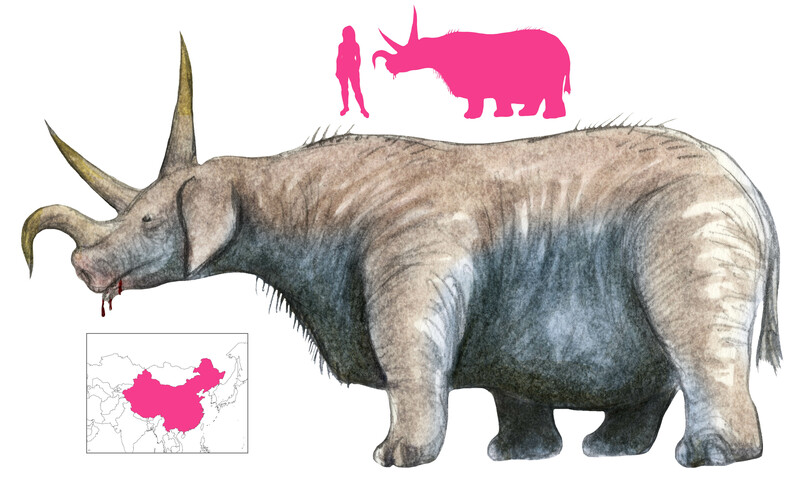 Both Xi and Si have been used interchangeably to refer to a number of large herbivores including oxen, yaks, and buffalo, but they are generally believed to be rhinos.